cables, your tablets work 24/7. The rugged tablet enclosure can be easily removed for mobile use and includes ergonomically designed handles with straps to reduce user fatigue and can be adapted to a variety of business needs. Tested to withstand over 350 pounds of pull force. Simply push to re-dock. 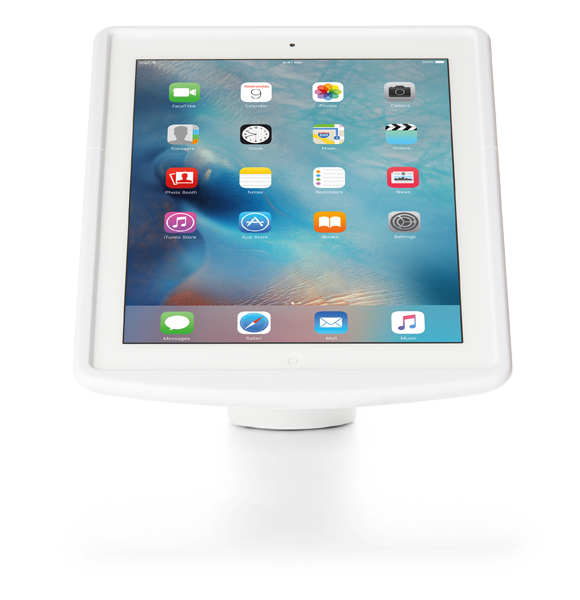 Complete protection for tablets used in businesses, restaurants, retail, and hospitality. Allows for 180° rotation between portrait and landscape. Dixons Carphone, a multinational electrical and telecom retailer and services company, is using the CT100. Dixons needed for a tablet display solution where both customers and associates could browse their online product selection on the tablet. 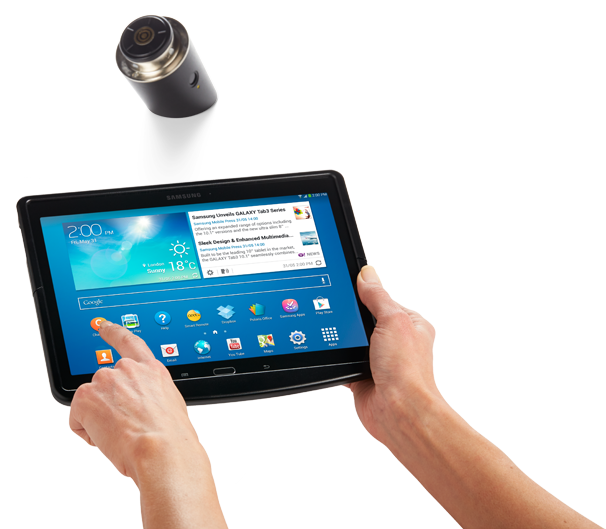 They required a solution that was easy for customers to use while offering quick mobility, so store associates could undock the tablet and move around the store with their customers. Media Markt installed the CT100 in several countries for a variety of applications. Media Markt required a tablet display solution that worked well for multiple applications. 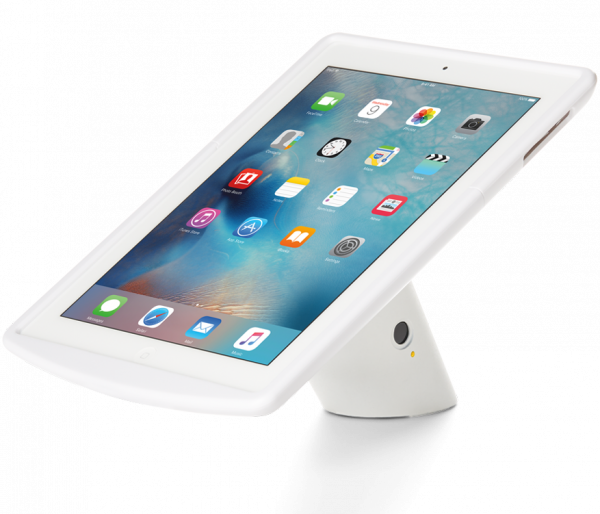 The tablet display needed to offer versatility for use as digital signage, a self-service kiosk or POS system. The CT100 exceeded all of their needs. CT100 was a perfect fit for Telia Sonara. Telia was looking for a tablet solution that allowed customers to digitally sign contracts within their store as they purchased devices. The display needed be easy for customers and associates to use and feature a small footprint as to not take away from valuable space required for the electronics on display. The CT100 was the perfect choice for Telia. Its simplistic design fit well within the space allotted. 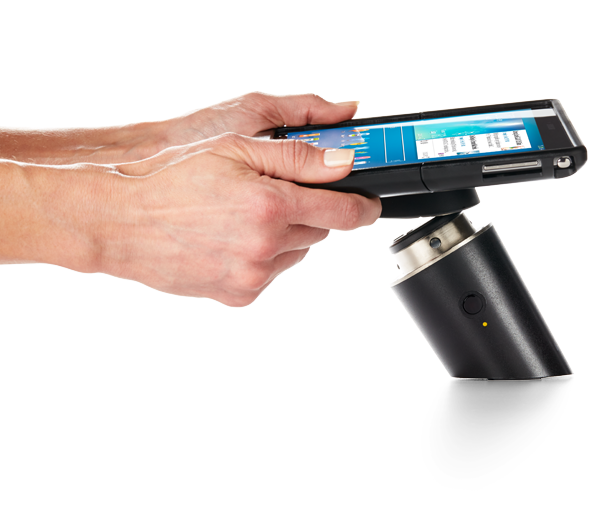 The CT100 is easy for customers to navigate through the digital contracts displayed on the tablet. Once customers complete the contract, the associate saves it as a PDF and sends it electronically to the customer, thus saving time and money. While designing and building their first retail concept for the Bullring Shopping Center in Birmingham, England, Volkswagen wanted to create an experience that made the process of buying and owning a car as easy and straightforward as possible by utilizing iPads throughout the store. The iPads would need to withstand the daily abuse they would experience in a mall environment, and InVue’s CT100 offered the complete solution VW was looking for.